Dhow — a traditional arabian sailing vessel. Last Friday, an amazing dhow cruise was organized by National Cruise Company and New In Doha. Meet-up place is at The Pearl Gate 2 at around 4pm to still catch the sunset — the best time to roam at the Arabian gulf. But before we set sail, we've mingled with fellow bloggers. And as I always hear from Zeke of Best Life Qatar, It's nice to meet the faces beyond social media names. The three-hour cruise started with introduction and safety precautions conducted by Mr. Ahmed and Ms. Jamaica, yup! safety first. After that, we moved to the upper deck where all the fun begins. Everyone's talking their instagrammable photos, the incredible view of Doha Skyline and panoramic view of The Pearl, and of course, groufieeeeee!! The Dhow is good for around 40 persons, have air-conditioned hall and a majlis at the upper deck. They also have WCs and if cruising makes you seasick , they have medicine for that. Giving every bit of comfort and assist passenger's needs. I've enjoyed photographing these beautiful ladies. We're also lucky to have Ms. Najla to guide us in photography as we catch the golden hour. So if you want to have a new activity, bring your family and friends here. It's nice to have a good chitchat and bonding on a dhow cruise. Not your typical weekend in Doha. After sunset, we've returned to the hall for a delightful buffet dinner prepared by Four Seasons Doha. Rest of the night is at leisure as we go back to The Pearl Qatar. So we just chill around and enjoy the lovely weather. Can't get enough of Doha's view. It's amazing that there is a community in Doha where you can share your thoughts with fellow bloggers. 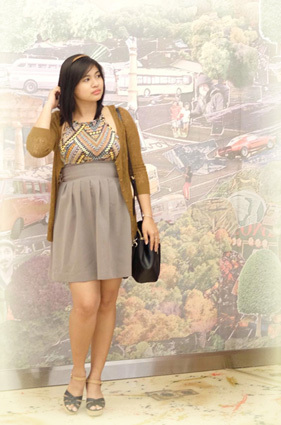 This is the first time I've joined a blogger event and it was indeed a moment to remember. 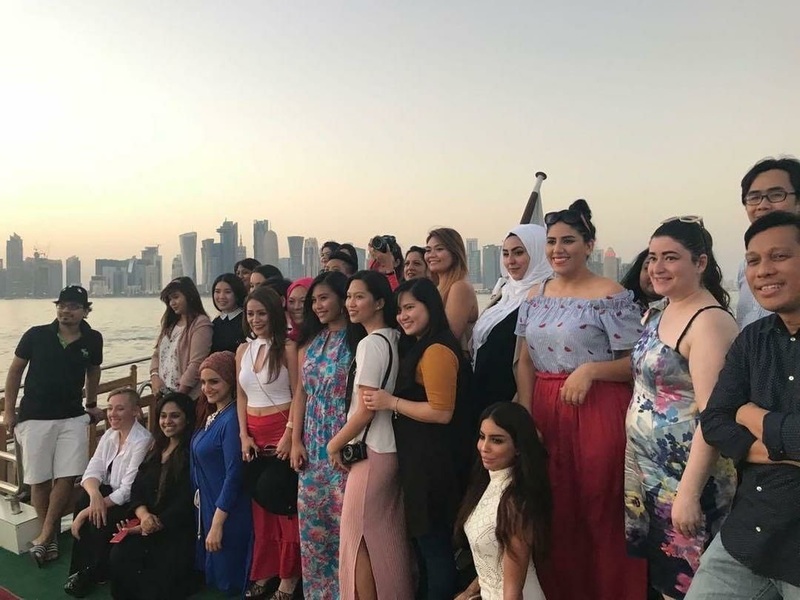 I'd like to thank Ms. Fathima of New in Doha for this great opportunity she's given to Qatar blogger community, National Cruise for hosting the event, Four Seasons Doha for sumptuous dinner and Ms. Najla Nabil for great tips in photography. Check out the hashtag #bloggerscruise on instagram for more photos and videos of the event.